Metropolitan Division — Which Sticks Do They Use? Arguments have been made that the Metropolitan Division is the biggest rival to the Central as the best in the National Hockey League. It’s certainly valid; some of the greatest superstars the world has ever seen skate in the division, while the last three Stanley Cup champions all reside in this stellar collection of teams. It’s a cluster of teams that never make their foes feel comfortable, no matter how sizable a lead they may have is. In the final installment of our Which Sticks Do They Use? series, we take a look at the elite players of the Metropolitan Division. From the Penguins captain to the Capitals’ leader, there are plenty of players in between who make a difference nightly for their respective team. Mathew Barzal, New York Islanders — In just his second season, Barzal has already placed his name on the NHL map. 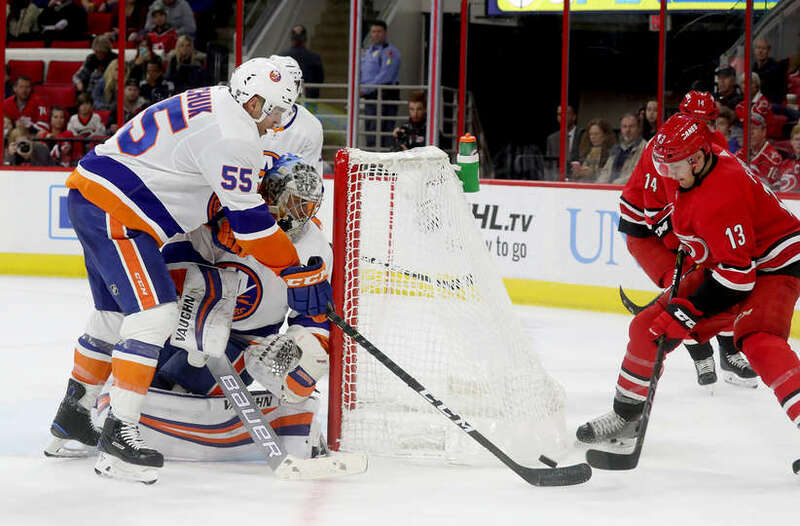 A supreme talent with elite speed and stickhandling ability, Barzal is now the leader of the Islanders’ offense, with John Tavares signing in Toronto last summer. 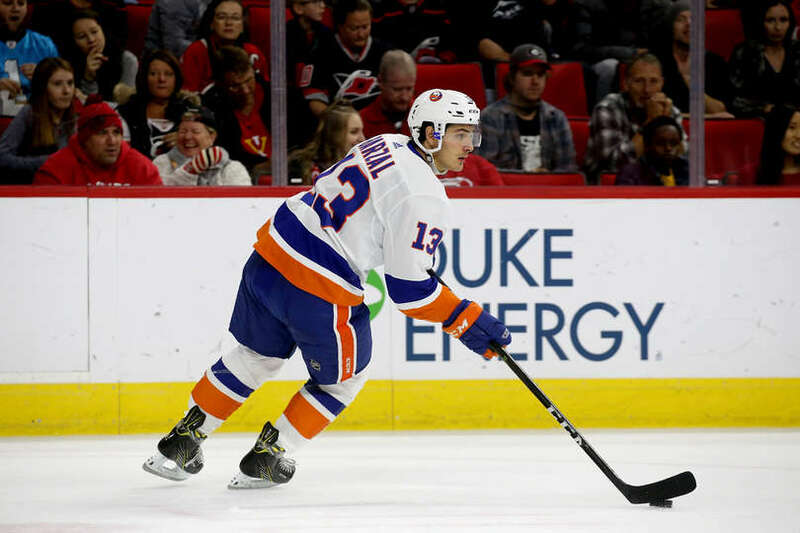 He’s off to an excellent start in 2018-19 as he looks to absorb some of the offensive numbers that were lost with the Isles’ former captain departing. Thanks to the Ascent Blade 2 within the Ribcor Trigger 3D PMT, Barzal’s stickhandling ability is enhanced. A tactile surface on the exterior heightens puck feel, allowing Barzal to move the puck either up ice or to a teammate at high speeds. With a youthful lineup joining Barzal, he’s able to deliver passes with precision and timeliness to catch goaltenders off guard. Johnny Boychuk, New York Islanders — A veteran leader on the Islanders’ squad, Boychuk is a former Stanley Cup winner (Boston, 2011). He’s been a reliable defensive stalwart for a decade and adds a hard shot from the point to jumpstart the offensive if given room. Opposing players have to react quick in the offensive zone, too, otherwise Boychuk will blast them with a clean hit. The 34-year-old relies heavily on his stick to remain intact, as he often gets his blade in the lane of shots or hard passes. Thanks to X-Flow technology, he doesn’t worry about stick breakage as much as others, as the compacted fibers increase durability while providing Boychuk with a lighter overall stick. The C6 blade material also provides excellent stiffness, allowing Boychuk to block or deflect shots, while also remaining reliable in heavy board battles, with aplomb. Sidney Crosby, Pittsburgh Penguins — Some would say that Crosby is still the most supreme talent in the entire NHL. Others would be challenged to argue. 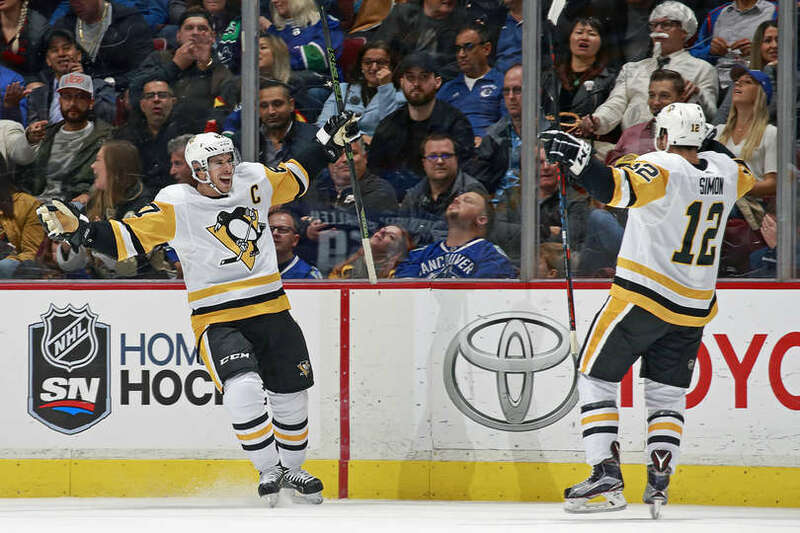 A three-time Stanley Cup champion, Crosby makes Metropolitan Division opponents dread playing the Penguins with his high hockey IQ, extreme skill with the puck and ability to get shots off quicker than almost anyone in the league. How is Crosby able to dangle and snip so daftly and efficiently? No, it’s not all in his stick, but it certainly helps. The Ribcor line has long benefited Crosby’s game, and the Trigger 3D PMT has added new elements to help him up his game that slight bit more. The optimized Ribcor low kick point includes an enhanced flex zone in the upper third of the shaft, allowing Crosby to release all stored energy at once with the shot release. As you read about with Barzal’s abilities, his puck feel is greatly enhanced as well, thanks to the X-Flow technology cutting down on weight and letting Crosby focus on moving the puck quicker. It also increases durability, which is vital when Crosby enters the high-scoring areas. 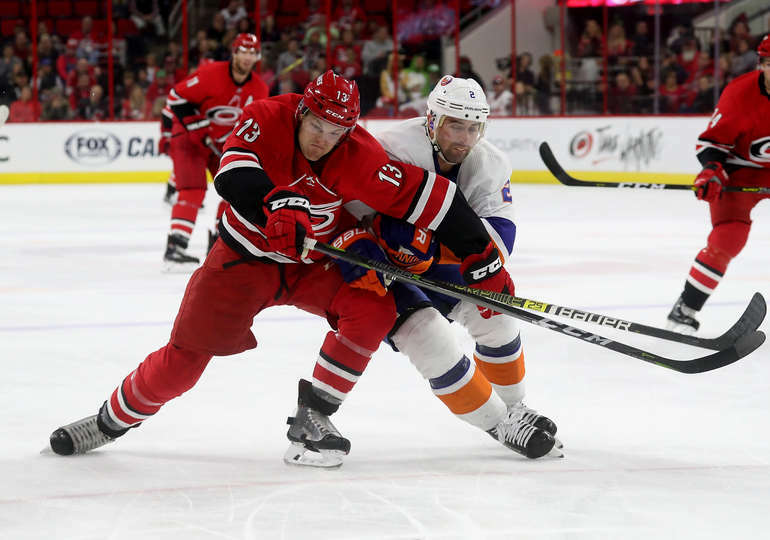 Warren Foegele, Carolina Hurricanes — Carolina is counting on a youth movement to push them to the next level. Part of that is the 22-year-old Foegele, whose speed and skating acumen makes him a special middle-six player. He utilizes his 6-foot-2-inch frame to protect the puck well, as well as pushing others off the puck when needed. He’s exactly what the Hurricanes need on the second line for the foreseeable future to make them a competitive team in the Metropolitan Division. Much like Crosby, Foegele is a player who doesn’t mind going into the dirty areas to make a play for his team. He relies on his stick to take punishment, which the Ribcor is more than capable of doing. The C6 blade and shaft provide excellent all around stiffness, allowing Foegele to enter any danger area without his stick breaking on the first slash that comes his way. He relies on speed to be dangerous, which includes getting the puck off quick. Thanks to the optimized Ribcor low kick, he can shoot in motion and surprise the netminder. 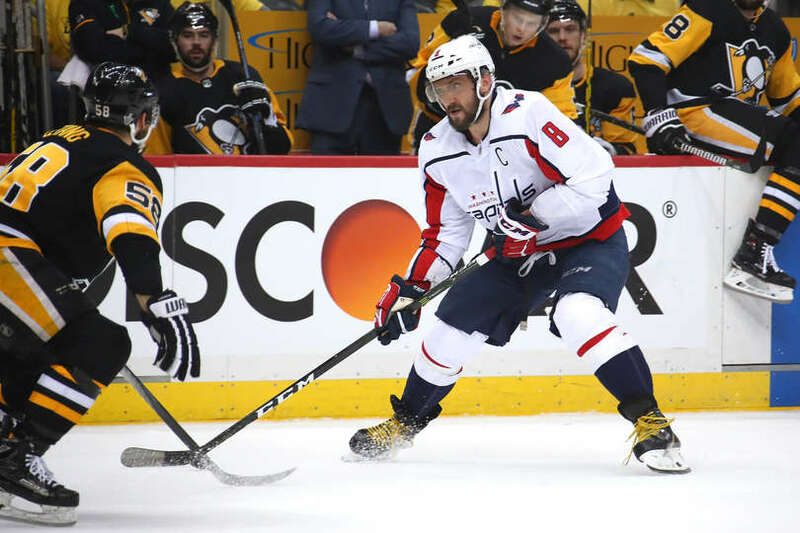 Alex Ovechkin, Washington Capitals — One of the most elite shooters in the history of the NHL, Ovechkin utilizes a nasty one timer nearly every game to get on the scoreboard. He’s quick, mean and tenacious, as well, which make him a threat not only for high-quality scoring chances, but to cause a turnover in the offensive zone on a regular basis. He leans on his stick for every shot and every board battle, allowing his large frame to speak for itself and power through any situation. Last year’s Conn Smythe Trophy winner as playoff MVP gets major flex on every shot. Any still frame you see of Ovechkin ripping a shot makes his stick look more like an arc than a straight line. This is accomplished without breakage thanks to the durability of the Ribcor. X-Flow’s optimized molding technology allows the stick to bend without major cracks forming, while the Ascent Blade 2 includes reinforcements throughout the heel and toe to provide Ovechkin with a durable feel to allow for countless shots before any kind of cracking occurs. Will Butcher, New Jersey Devils — An elite college-level player, Butcher signed with the Devils before the 2017-18 season and the coaching staff couldn’t be happier with that decision. 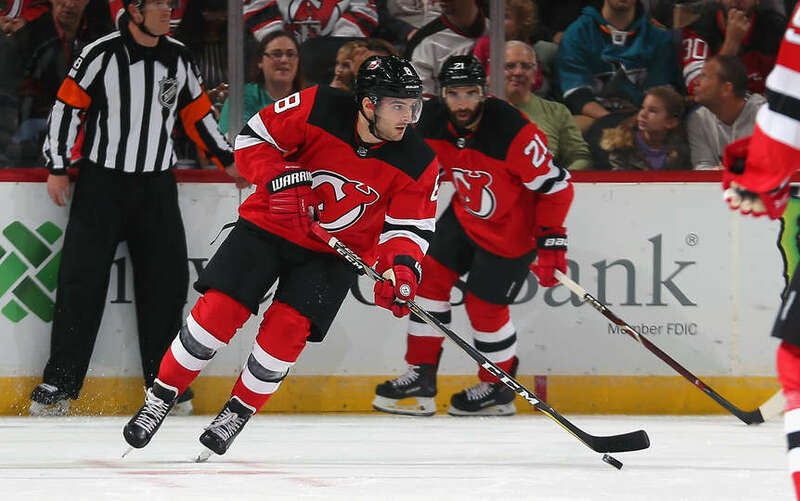 Butcher instantly made an impact on the Devils’ blue line, bolstering its offensive ability and helping New Jersey return to the playoffs last April. His hockey IQ and vision have been well documented and he’s a mainstay on the Devils’ first power-play unit for the foreseeable future. One of the strongest assets of Butcher’s game is the ability to get pucks through to the net and find open teammates, even when defensive coverage is tight. This is due to his excellent vision, and it’s made possible by a stick that allows him to be deadly accurate. The ACU3 blade is lighter, yet stiff, with a tactile surface for maximum control. Sigmatex technology included throughout the shaft also provides an ultra lightweight feel, allowing Butcher to rocket up the ice and weave around a defender before laying a perfect pass on his teammate’s stick. 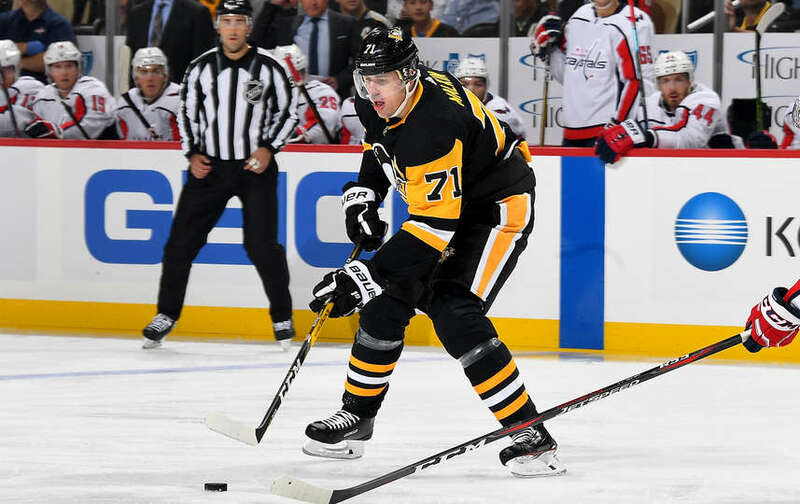 Evgeni Malkin, Pittsburgh Penguins — One of the best Russians to ever lace up skates, Malkin is a danger to opposing teams anywhere in the offensive zone. If he’s not lifting a powerful shot over a goalie’s shoulder, he’s teeing up a perfect pass to a waiting teammate. He’s also defensively responsible, helping his team keep shot counts down and start an offensive rush from their defensive zone. Malkin is able to blast shots with relative ease, and part of the reason for that is a max-loading, mid-kick point within the Super Tacks AS1. A soft mid section allows for longer loading, while increasing the energy stored, while a stiff taper maximizes stability in every shot. This allows Malkin supreme control from top to bottom. Because he is so highly respected by other teams, he is constantly covered and never allowed space. This can make it hard for a player to shoot without a slash breaking through his blade, so the ACU3 blade features a reinforced toe and heel to prevent breakage from overuse and from the unwelcoming hacks Malkin receives throughout games. Cam Atkinson, Columbus Blue Jackets — A former 35-goal scorer for the Blue Jackets, Atkinson displays excellent vision and the ability to remain open for teammates to find him for a quick goal. His skating is above average, allowing him to take advantage of slower defenses and find his way to the net. Atkinson can go from stickhandling or receiving a pass to shooting in milliseconds, making him a threat every time he steps on the ice. The Jetspeed shaft allows his stick to react as quickly as he does, offering a smooth transition area throughout the geometry of the shaft to maximize bending and transfer stored energy quickly. Add in a Jetstream blade, which features a multi-channel area with a dampening layer that creates a unique and consistent feel, and Atkinson can get a feel for the puck unlike any other, allowing him to use his quick hands to make the next big play. 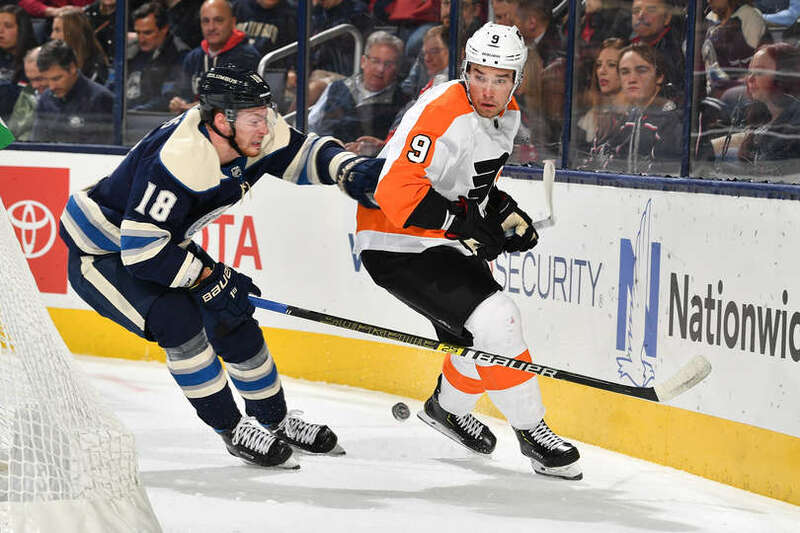 Shayne Gostisbehere, Philadelphia Flyers — A smooth-skating, mobile defenseman, Gostisbehere can be a game-changing player when he’s on. This was fully on display when the Florida native racked up five game-winning goals in 2015-16, and again last year when he tallied a career-high 65 points from the blue line. Gostisbehere utilizes the QRT+ technology within the blade, which provides a more stable blade than ever in the Bauer line. Extra carbon layers reinforce the taper zone, providing excellent control for one-timers and quick passing plays. Getting up ice with the puck, another strength of Gostisbehere’s, means a lighter stick is necessary, as well. Advanced Carbon Layering (ACL) is find throughout the blade’s construction, which is thinner internal carbon fiber layering to create an extremely light stick – 15 grams lighter than the previous 1X to be precise. 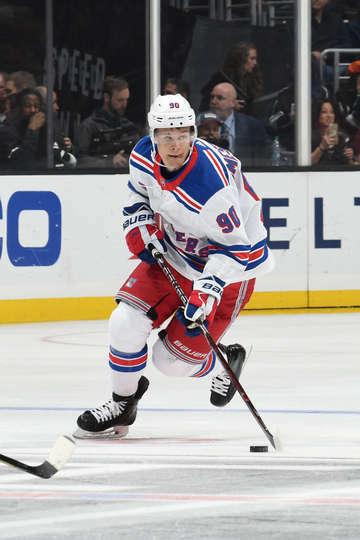 Vladislav Namestnikov, New York Rangers — A passer first by nature, Namestnikov is a forward that can be put on any of the four lines and make his linemates better. Once a more role player in Tampa, the Russian is now relied on as a top-line threat in Manhattan. That shouldn’t be an issue for the 25-year-old, as his two-way ability makes him an ideal complement to a top line that features youth and skill. A lighter stick, the Vapor 1X Lite allows players like Namestnikov to move the puck with authority, providing an excellent feel from hands to blade. Namestnikov doesn’t have a specific spot on the ice he likes to set up, as he is excellent in the cycling game. The Vapor 1X Lite is excellent for that mindset, as the reinforced taper zone provides excellent stability, allowing Namestnikov’s passes to be just as hard and accurate if he’s passing from the heel or the toe. 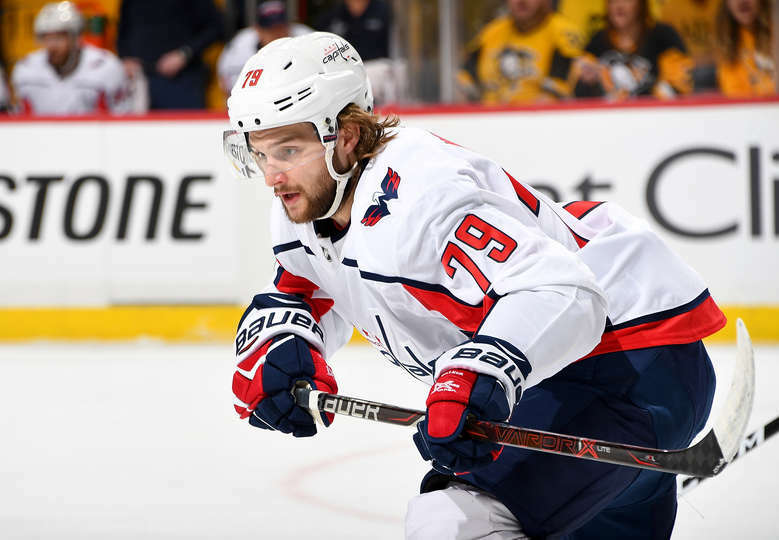 Nathan Walker, Washington Capitals — To those living in North America, Walker does not stand out as a prolific player, per se. However, in the land down under, he’s the best there is and a true role model for young hockey players. An Australian, Walker was a scorer at lower levels, reaching the 40-point mark in numerous leagues and skill levels. Now a depth player in the U.S. capital, Walker displays determination on every rush and every time his team is in the offensive zone. A determined player needs a determined stick, and Walker gets that from his 1X Lite. The stick is constructed using Monocomp technology, a method tried and true in the Vapor line. This allows players like Walker to get a nice feel for the puck, as the molding process from blade to shaft is almost nonexistent – both parts of the stick are constructed together, eliminating any miscommunication from shaft to blade. It also creates a stronger taper area, which Walker utilizes in every board battle. For a player looking to stay in the lineup with grit and personality on the ice, the Vapor 1X Lite delivers strength and value in every shift. Mats Zuccarello, New York Rangers — Like his former teammate Martin St. Louis, Zuccarello is an undersized forward (5 feet, 8 inches, 179 pounds). Due to this, he has to display skill at every turn, which never has been an issue for Zuccarello. The Norwegian can snipe when necessary, but is more known for his ability to set up teammates and create plays with wizardry in the neutral and offensive zones. 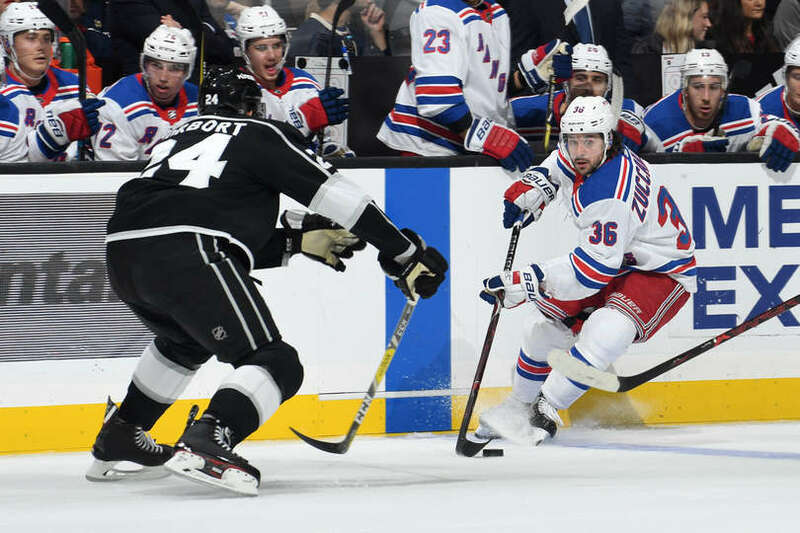 Like current teammate Namestnikov, Zuccarello could be the poster child for QRT+ technology. This feature was created mostly for stick control, creating scoring chances at every turn. Next time you watch Zuccarello, notice his ability to receive passes that are behind and in front of him. His pass control is almost off the charts, allowing him to be a threat even if his teammate’s pass is off the mark. Brian Boyle, New Jersey Devils — Everyone’s favorite hockey player after the tremendous will he showed to put Leukemia in remission, Boyle is a physical player that can play almost anywhere in the lineup. 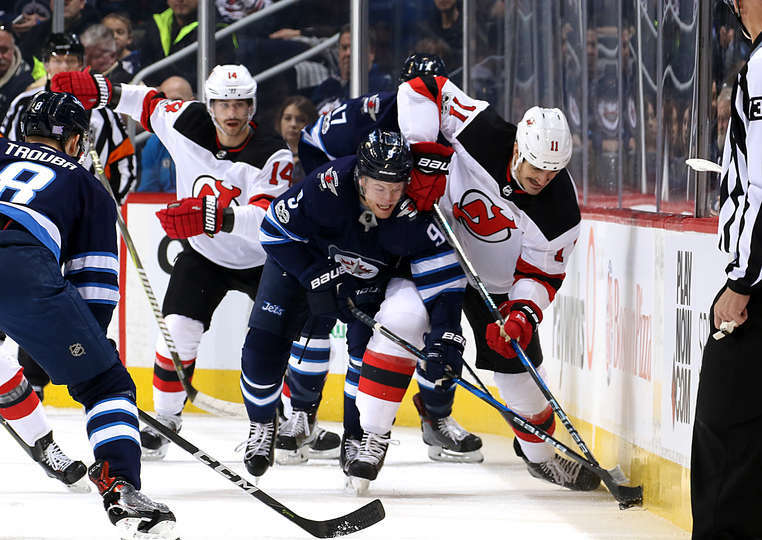 His 6-foot-6, 245-pound frame makes him nearly impossible to knock off the puck, and his ability to backcheck has even lended Devils head coach the ability to use Boyle on defense sparingly, when necessary. A man of Boyle’s strength and build requires a stick that can withstand punishment, both from the man leaning on it and those trying to knock him off the puck (keyword trying). That’s why he chooses the Nexus 2N Pro, which uses a dynamic resin that focuses on impact and flex properties, helping players lean into shots and take punishment without damage occurring often. The monocomp technology found throughout the stick also allows Boyle to get a natural feel for the puck, thanks to any extra carbon fibers created when molding the shaft and blade together being eliminated before it leaves the production line. Sean Couturier, Philadelphia Flyers — Originally utilized as a solid two-way center with some offensive upside, Couturier burst onto the scene last season, his sixth in the NHL, accumulating a 31-goal, 76-point performance that shocked the rest of the Metropolitan Division (that was a 37-point improvement from his career high). 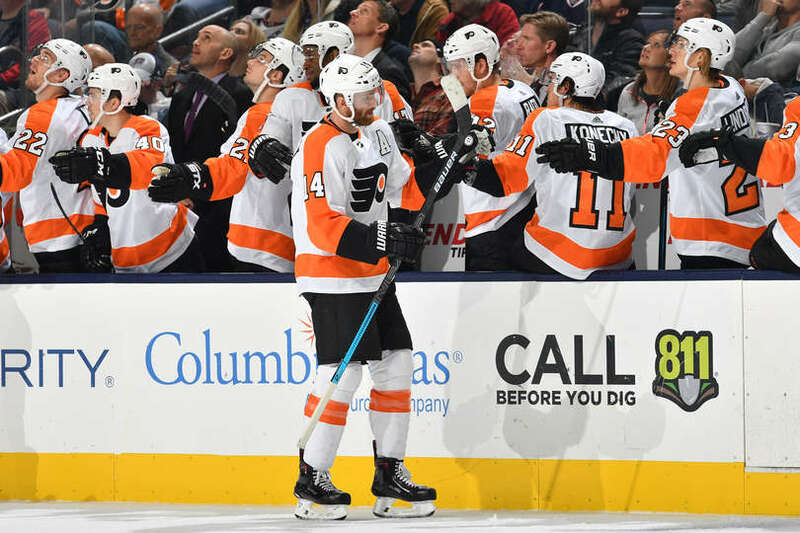 Couturier has a quick stick that is useful in both the offensive and defensive zones, allowing him to break up plays and create new ones for his team. Couturier reacts fast on the ice, and his 2N Pro allows him that speed when transferring energy from his hands to the shaft (then onto the blade). The R-Lite Blade System is found in the top-of-the-line Nexus, providing a rubberized response layer for extra control and feel thanks to an ultra-lightweight foam throughout. The blade is also reinforced along the edge to provide a thinner and stronger carbon fiber, reducing blade weight and allowing for a lightning-quick release. 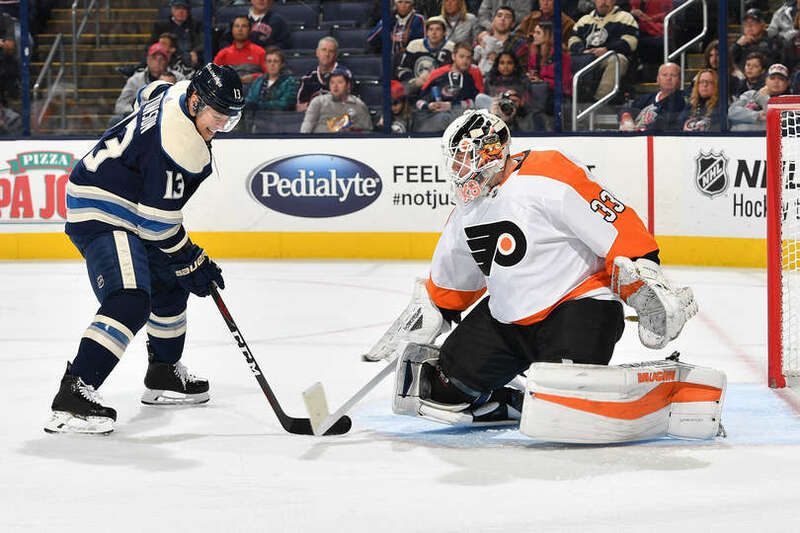 Pierre-Luc Dubois, Columbus Blue Jackets – Poised for a breakout season in 2018-19, Dubois is one of the brightest young players in the NHL. His tenacity around the goal is noticeable from the minute he steps across the blue line, and his strength can be felt by anyone on the ice. He has excellent offensive awareness and never shoots first without looking to see if there is a better option. His hockey IQ is already well on display for the Blue Jackets this season. Introduced last year with the 1S, RenewCore within the blade is a revolutionary feature that is utilized by Dubois on every shift. This is a pressurized gel core that remains in liquid state, allowing it to automatically refill when there is cracking or breakage. It’s also extremely lightweight, allowing players to get an excellent feel for the puck. Dubois has a deceptive and booming shot, as well, and this is relayed by the 2S’ Maximum Power Kick (MPK) technology. Dubois’ energy is transferred from handle all the way to the blade, allowing him to pulverize shots from anywhere on the ice with speed and authority. 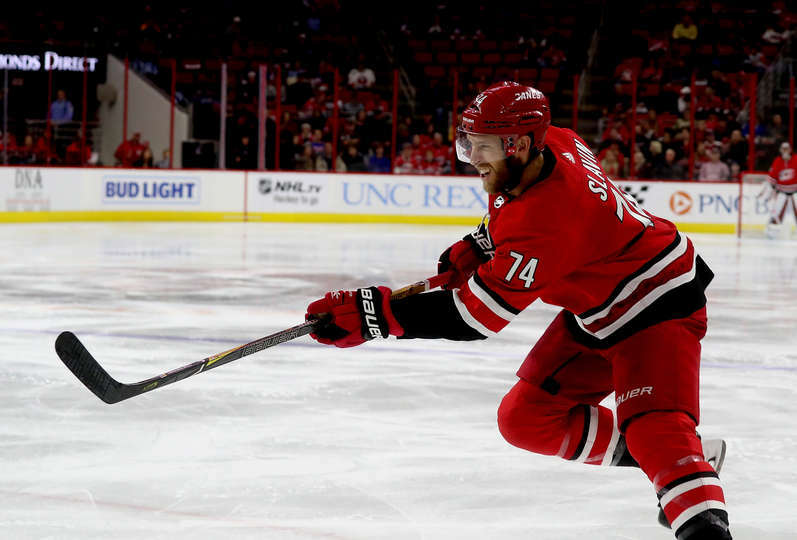 Jaccob Slavin, Carolina Hurricanes –Already discussing how Foegele is an important part to Carolina’s core, we take a look at a defenseman who has quickly come into his own in the NHL. Slavin, 24, has a menacing size (6 feet 3 inches, 205 pounds) and excellent hockey instincts. He’s a shooter first from the point and is very reliable when moving the puck up ice either through passing or stickhandling. Like Dubois, Slavin recognizes how the MPK technology allows him to rocket steady shots to the back of the net. Something that is vital to a puck-moving defenseman, though, is Bauer’s patented eLASTech Technology. This feature allows slashes and shot blocks to cut down on the stick breaking down quickly over time, as the spread of these fractures is minimized. Also utilized by Slavin is the 2S’ TeXtreme technology, which is a much lighter carbon fiber to improve overall balance and enhance puck handling. This is on full display every time the puck ends up on Slavin’s stick.